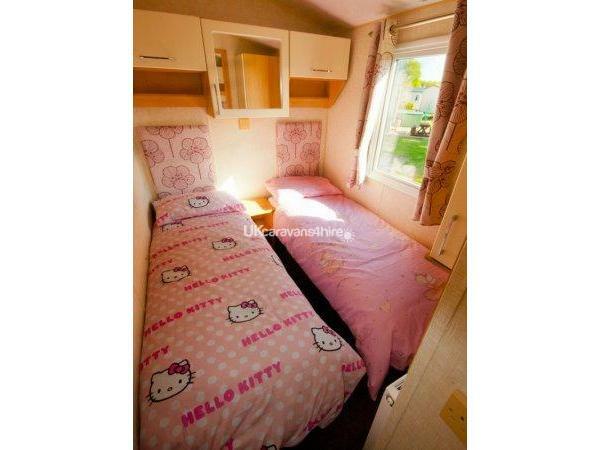 We are proud to be able to offer our Willerby Sierra for hire. 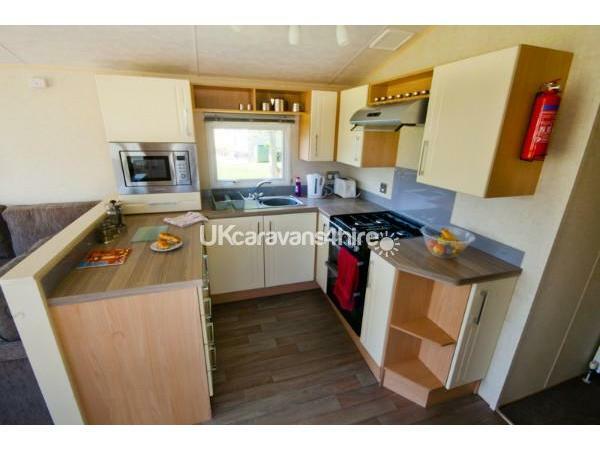 The caravan was sited brand new in late May 2013. 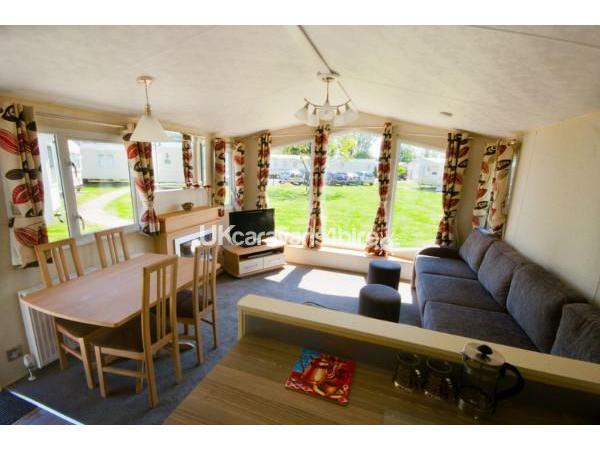 This is a modern, high quality, caravan with a large, almost floor to ceiling, window at the front of the lounge. 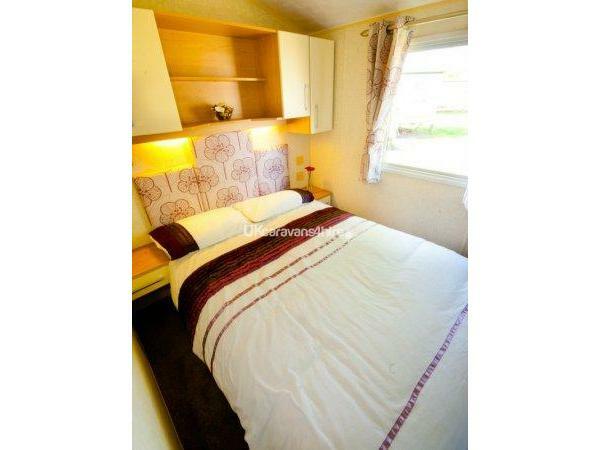 This allows light to flood in to the caravan and gives a great feel when you are spending time in the caravan. 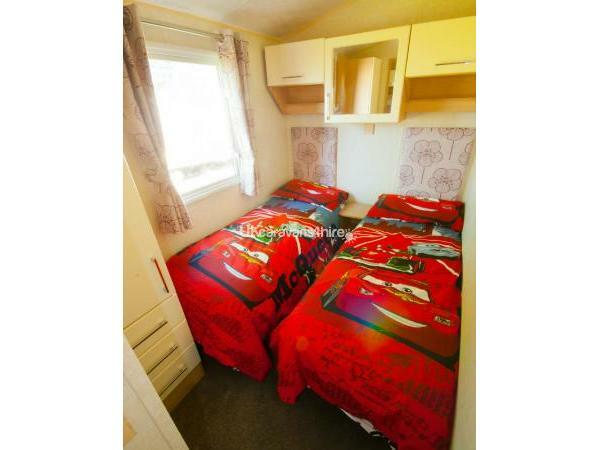 This caravan is fully insulated, double glazed, and has gas fired central heating, so it will be warm and comfortable to use all year round. For your enjoyment, there is a 32” LCD TV and a Blu-Ray / DVD player that also has a USB port and is capable of playing certain media files directly from a USB key or portable hard drive. 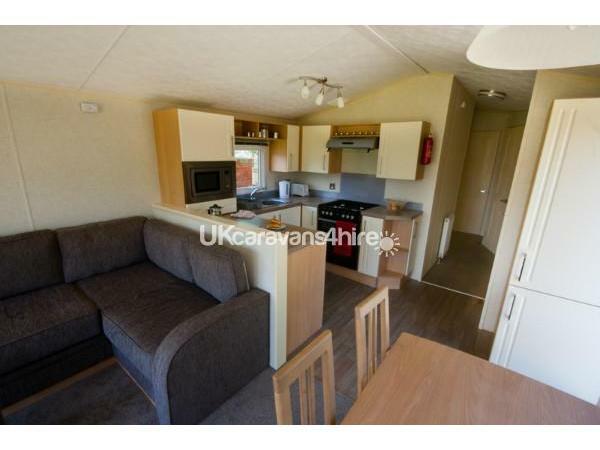 The Willerby Sierra is on plot number: 133. 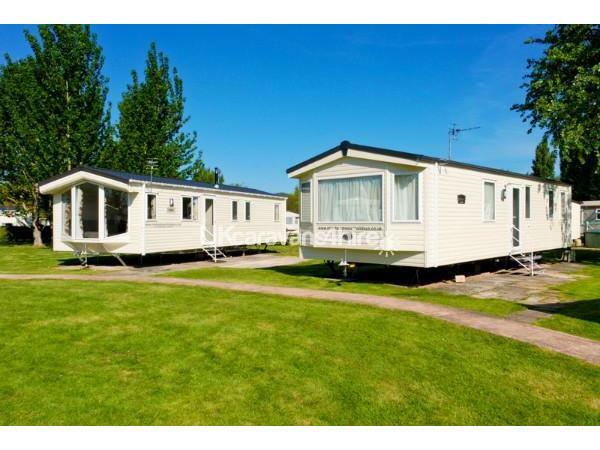 If you have never, been to the Butlins caravan park at Minehead, it is a beautiful and well presented caravan park that has a large fishing lake. 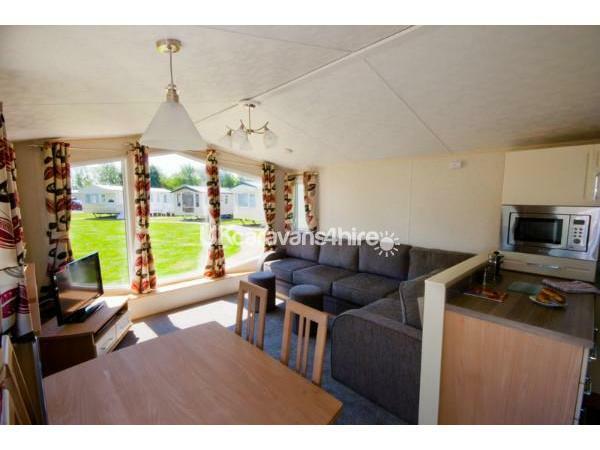 Unlike some other caravan parks, here the caravans are not all closely packed in rows, and there is plenty of room. 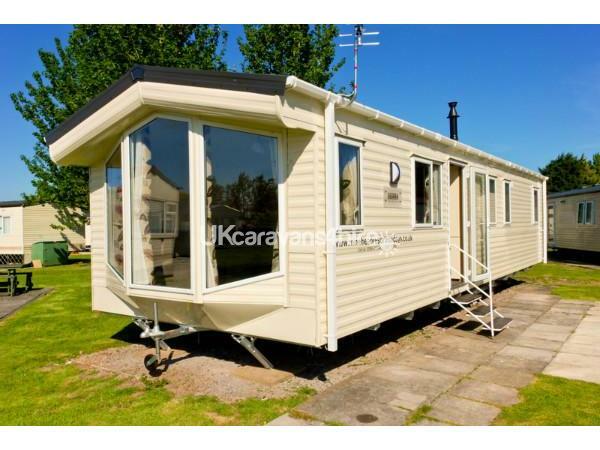 Our caravans are 2 of 8 caravans in a semi-circle called Tidal Cove. 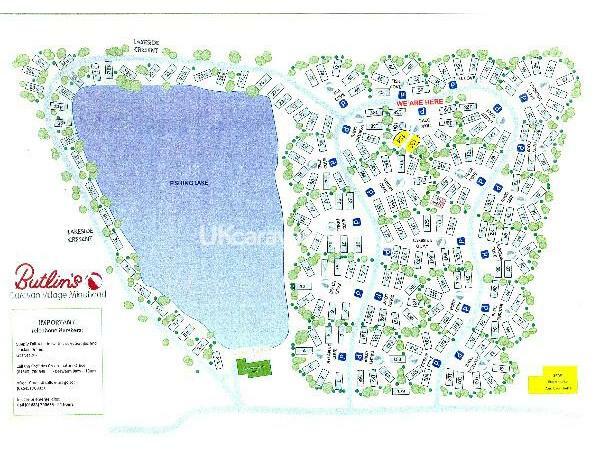 We have a reasonable sized grassed area in the middle at the front of the caravans, and dedicated parking just meters away. Tidal Cove is towards the back of the caravan site. This is a huge benefit as you will receive less noise from people moving about the site and from Butlins itself. 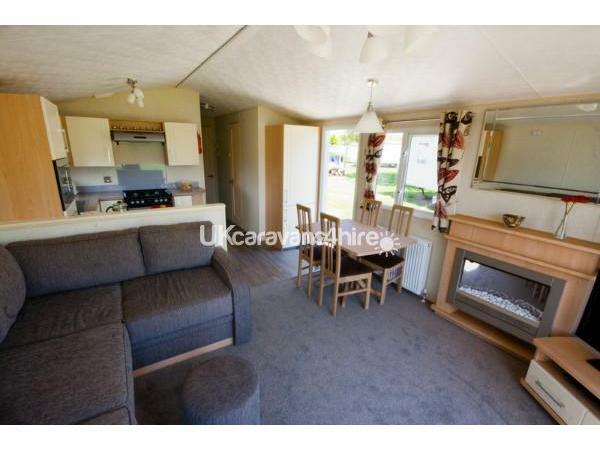 However, our caravans are still only approximately a 10 minute walk from all of the Butlins facilities. We take PayPal at no additional cost to you!